Semi-automatic unit structurally strong and at the same time user friendly. 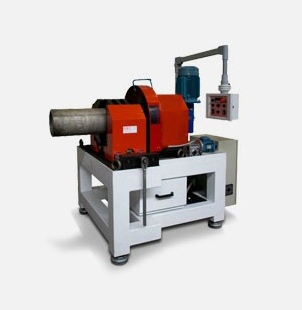 The locking vice design enables the automatic centring and positioning without causing deformation to the pipe. The on board control panel enables to adjust the chuck speed and feeding as well as the feeding of the mobile head and the activation of the refrigerating liquid pump. The SB500 can be equipped with easily interchangeable tools, both HSS type and insert type.